The assignment were to make an interactive add to promote an product or service based on a item from the past. The items original time would also set the style we should use for the add. Since I didn’t find anything at home I went to an Used- and Antique-store. At this store I found myself a set of plates. 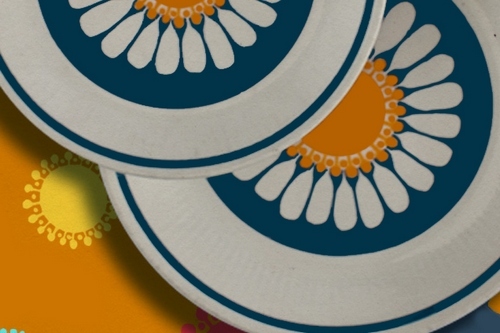 I did some research into the design of the plate and found it were designed by Turi Gramstad oliver in the mid 70s. I had a conversation with the designer by phone and got more information for my project. Based on the design style from the time the plates were original designed and the info received from the designer herself I made an info-add.